Not so long ago came a movie that brought together almost all modern Marvel super heroes. By the way, we added a thematic map: Marvel Superheroes where some movie characters are built. 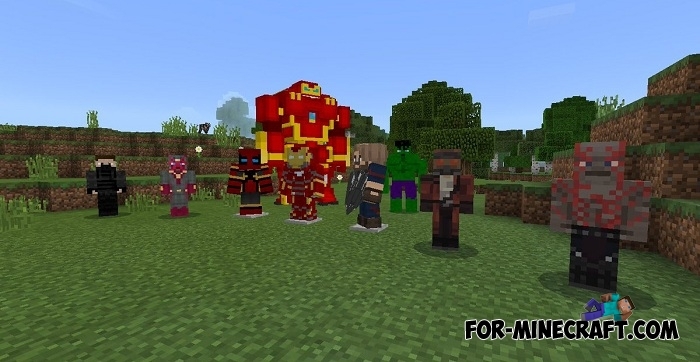 As for the Avengers: Infinity War addon, it brings the main superheroes who were involved in saving the Earth and those who wanted to destroy it. 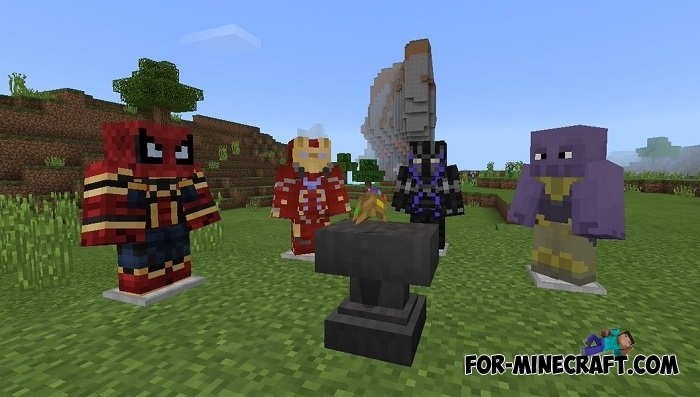 The addon does not carry any spoilers so do not be afraid to play it if you have not seen Infinity War yet. This is not a screen version, it's a fun way to see the characters and fight with some of them using things from the movie. How to install the Avengers: Infinity War addon?